CLONEA STRAND: 2 Mediterranean Gulls (adult & a different juvenile) at Ballinclamper; adult had white darvic ring '3H97' on right leg. 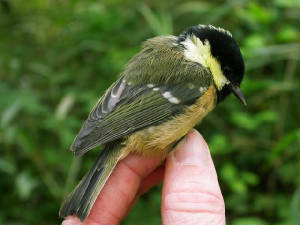 This had been ringed as a chick in Denmark on 4 June 2005, and subsequently resighted in France in 2006 and at Clonea in August & September 2007. CLONEA STRAND: Juvenile Black Tern at Ballinclamper. WHITING BAY: 2 juvenile Little Gulls. DUNGARVAN: Green Sandpiper & Kingfisher at Ballyneety. HELVICK HEAD: Great Skua and a 'ringtail' harrier species (probably Hen Harrier). TRAMORE BACKSTRAND: 56+ Little Egrets; Buzzard nearby. HELVICK HEAD: 12 Sooty Shearwaters, 3 Storm Petrels, 5 Great Skuas, 2 Pomarine Skuas & an Arctic Skua, and c150 Manx Shearwaters per hour (2 hrs seawatch 1300-1500 hrs). DUNGARVAN; Juvenile Mediterranean Gull & c20 Common Terns. CLONEA STRAND: 2 Great Skuas & 6 Arctic Terns at Ballinclamper. TRAMORE BACKSTRAND: Green Sandpiper at Clohernagh. HELVICK HEAD: 4 Sooty Shearwaters, 5 Storm Petrels, a Great Skua & 7 Common Scoter (seawatch 1830-2000 hrs). Nr WATERFORD CITY: Buzzard south of the city. HELVICK HEAD: 3 Great Shearwaters & a Sooty Shearwater in a strong passage of Manx Shearwaters, also 5 Great Skuas, 2 Arctic Skuas & 50+ Storm Petrels. BALLINARD: 5 Common Scoters flew west. CLONEA STRAND: 3 Mediterranean Gulls (adult + 2 juveniles). HEVICK HEAD: 4 Storm Petrels. KNOCKNAGOUR, nr Lismore: Crossbill in garden. HELVICK HEAD: 16+ Storm Petrels flew west in an hour (1725-1825 hrs). TRAMORE BACKSTRAND: 2 Green Sandpipers & 4 Common Sandpipers at Clohernagh. HELVICK HEAD: CORY'S SHEARWATER, Storm Petrel, Common Scoter, Great Skua, 3 Arctic Skuas, 5 Arctic Terns & a Puffin (seawatch 0715-1100 hrs); also a Common Sandpiper. DUNGARVAN: Juvenile Mediterranean Gull at Killongford estuary. 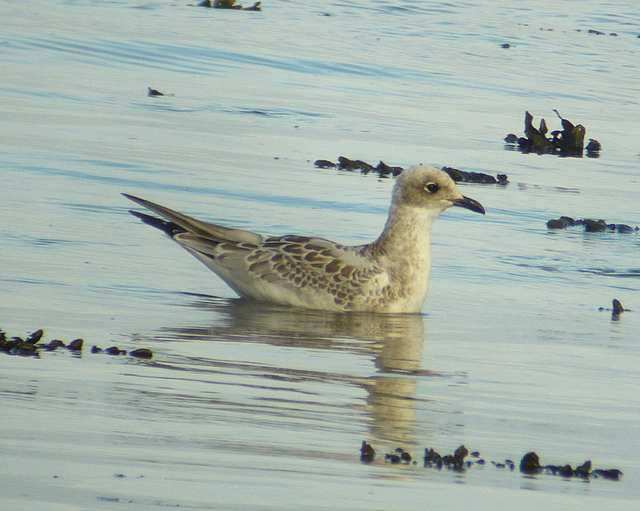 DUNGARVAN: Juvenile Mediterranean Gull at Barnawee. DUNGARVAN: 3 Mediterranean Gulls (juvenile & 2 adults) at Barnawee. 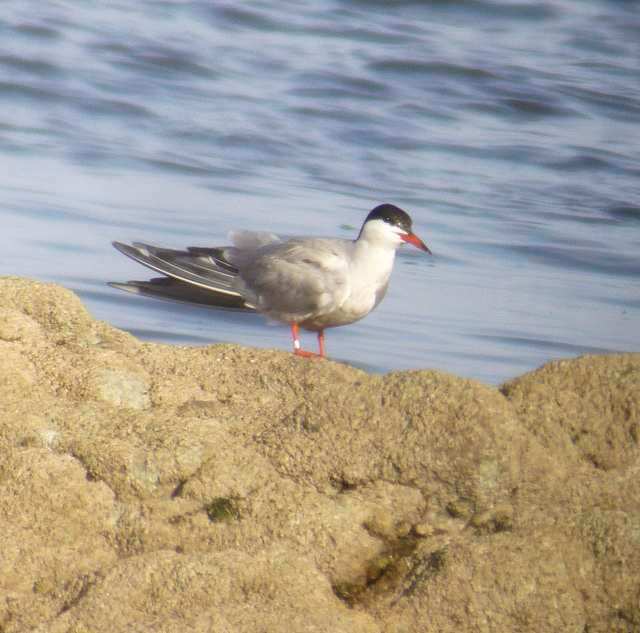 CLONEA STRAND: 2 Mediterranean Gulls (adult & 2nd-summer) at Ballinclamper. 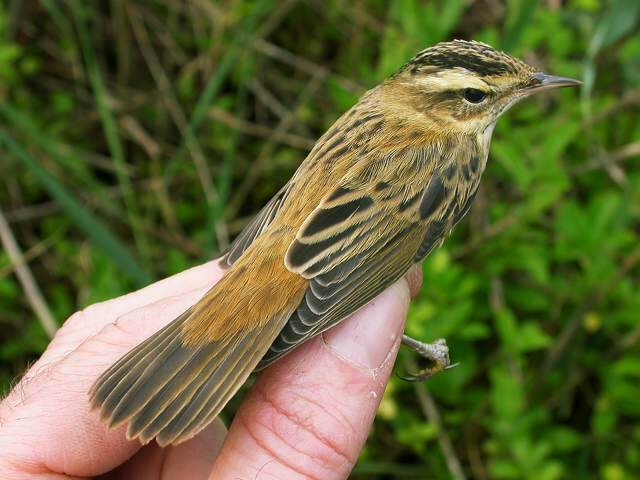 BELLE LAKE: 16 Sedge Warblers ringed. 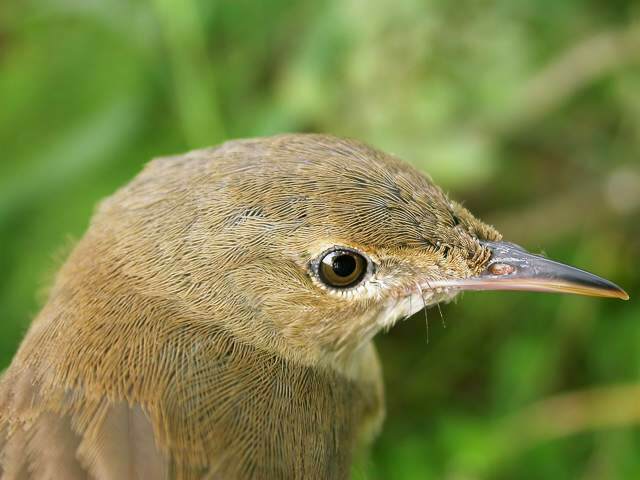 BELLE LAKE: Adult Reed Warbler ringed. HELVICK HEAD: Pomarine Skua, Arctic Skua & Storm Petrel. RAM HEAD: 2 Storm Petrels & a Porpoise. 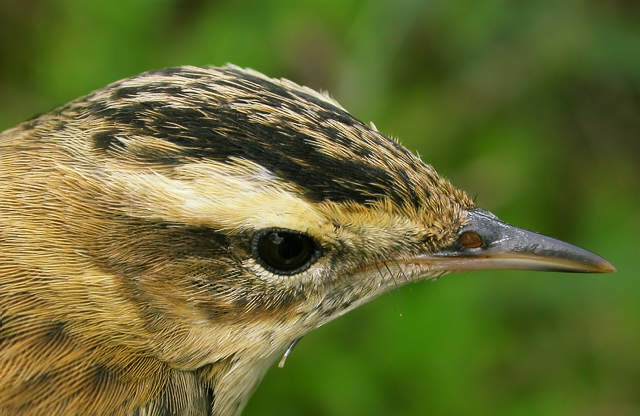 HELVICK HEAD: 11 CORY'S SHEARWATERS & 2 Arctic Skuas flew west (1755-1940 hrs).